This one has a GPO decal fitted. 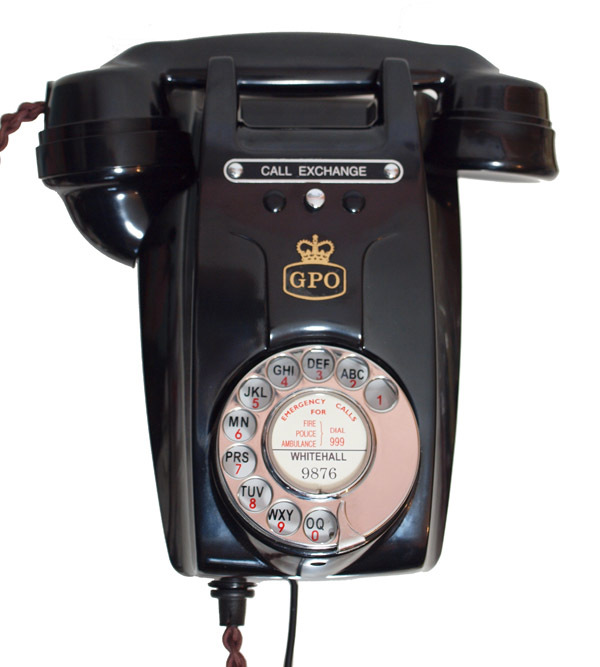 This is a wonderful GPO 321L wall telephone. This was commonly known as the rams head for obvious reasons. Wall telephones are not common and this is fine looking model. 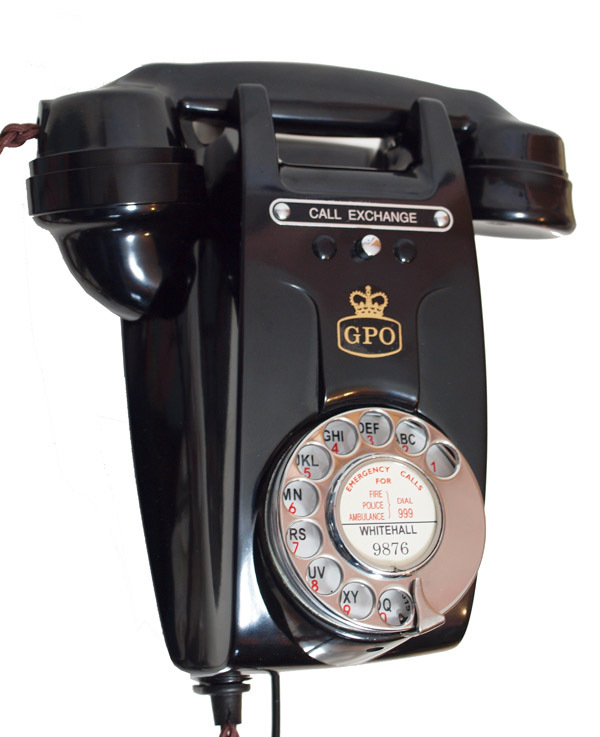 It was one of the latest models still made in Bakelite and this one is dated 1961. It has a lovely GPO no 12 alpha numeric dial and has been cleaned and polished to near perfection. 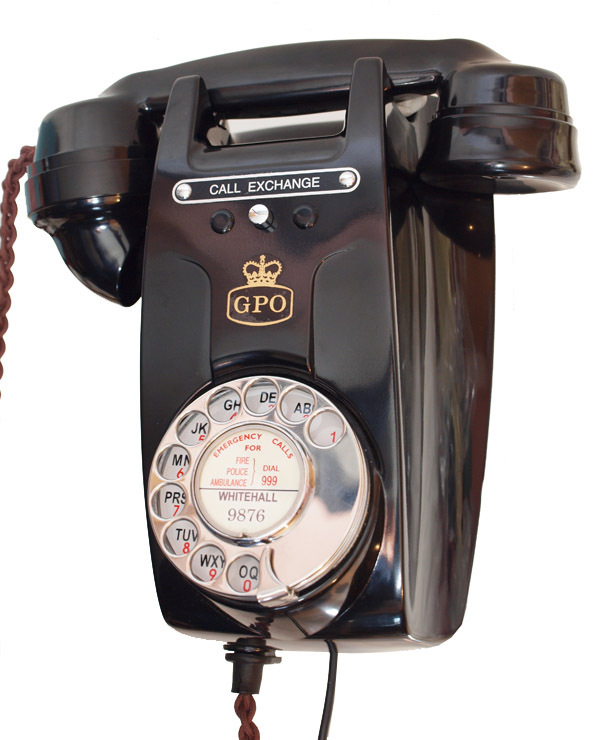 It has been fitted with an electronic microphone and a best quality hand plaited braided Cord and a GPO specification round plastic line in with a UK telephone socket fitted. The call exchange button is now just for show. The double gong bell ring sounds wonderful.